Man loses his memory after a trip to the dentist. 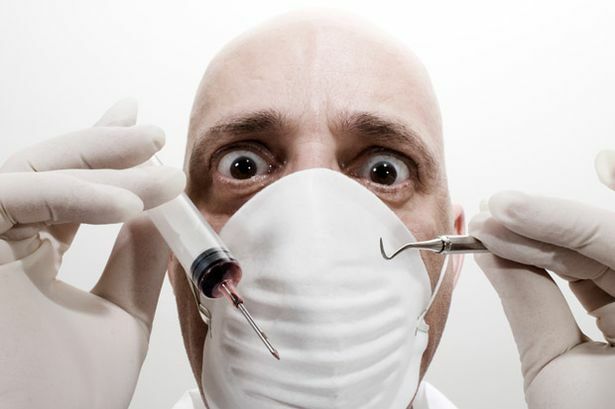 Going to the dentist is perhaps one of our least favourite experiences, and a curious tale of a British man who has suffered perpetual memory loss after a visit to the dentist, will do nothing to ease any fears about getting a clean and polish in the future. It all began on 14 March 2005, when a member of the British Army visited the orthodontist , whilst posted in Germany. He was scheduled for routine root canal surgery, and since the procedure has been stuck in a loop, only being able to remember the past 90 minutes. Every day is like Groundhog Day, or a real life Memento, whereby to remember what’s happened to him and his key life events, his wife has written detailed notes in his smartphone, titled “First thing – read this”. The unfortunate man who has suffered this memory loss is now stuck thinking it’s the day of his dentist visit, each and every day of his life. “I remember getting into the chair and the dentist inserting the local anaesthetic,” he said. But after that, he is lost. At first it wasn’t apparent to the dentist that anything was wrong, however after he took off the protective glasses the dentist noticed that the man was pale and unwell. His wife was called, and he was taken to hospital, with the medical staff thinking that he had suffered a reaction to the anaesthetic causing a brain haemorrhage, but upon further examination it was found that there was no damage. It was resolved that the dentist wasn’t at fault, and it would appear that something more baffling has taken place. After a series of detailed psychiatric assessments, it was concluded that the man was healthy and that the memory loss was not a coping mechanism to cover a painful event. It would appear this remarkable effect was somehow “triggered” by the events at the dentist, and is somehow related to the neural synapses in the brain, with the result being that the man can no longer consolidate new experiences as memories. In the ten years since that fateful dentist trip, the man has since been able to retain only one memory, his father’s death. Scientists think that the intense grief from the experience has somehow managed to forge new pathways in his brain, something that otherwise seems impossible for him. He even has to relearn every few hours or so that his little children are now 18 and 21, not the small children he remembers. This fit and healthy 38 year old man is a unique and intriguing case to science. There have been strange cases of sudden memory loss before, but normally this is due to extreme trauma, or the person suffers from complete amnesia or personality loss. In this case, Dr Burgess of the University of Leicester said that “…we had never seen anything like this before in our assessment clinics, and we do not know what to make of it.” His hope is that by making the case public, other people with similar experiences may come forward, or the scientific community may come up with a way to solve this mystery.